My first real job out of college (aside from my brief and miserable stint as a hotel sales coordinator) was as a development associate for Arts Midwest, one of the best arts organizations of all time, ever. In my role, I got to write a lot of grants. And as I developed my own art, I became more and more immersed in the fund-seeking world. 1. Describe your project like you’d describe it to your parents’ neighbors. 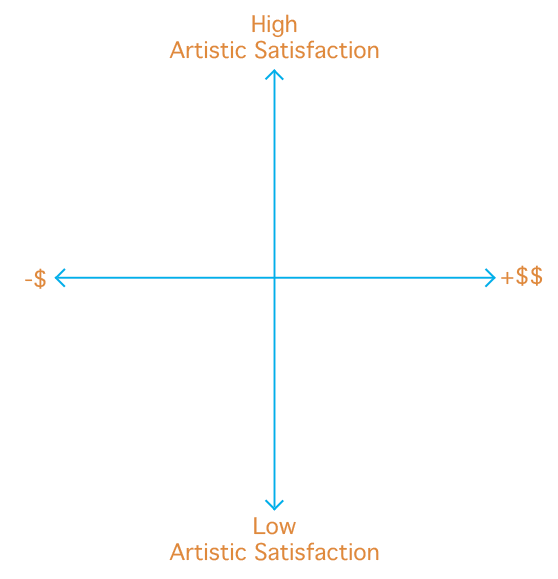 There’s no use in being artistically ambiguous or pretentious in your project description. The reader wants to understand what you’re going to do, how you’ll do it and why it’s important. And they want to understand it quickly. 2. Don’t wing it. If you’re not sure how to complete a component of the application (a timeline, a line-item budget, etc. ), do some research (Google). The world wide web is filled with examples, so go out and find them. You’ll start to see the differences between the good examples and the bad examples, so model your work after the good ones. 3. Read the questions. Then answer them. It’s as simple as that. If you find yourself writing the same answer for question 7 that you wrote for question 5, you missed a detail somewhere. Go back, figure out the differences between the questions and be specific in your responses. 4. Ask someone to proofread your work. Remember that friend in college who was super nit-picky about commas? Bribe her to help you out. If you’re the only person who reads your proposal, you’re 97% likely to miss a silly error. (I’m almost positive that’s a real statistic.) Anything you can do to make your proposal clear and easy to read will improve your chances. 5. Demonstrate capability. The reader assumes that if you can plan your project, you can (probably) pull it off. So if the application asks how you’ll evaluate the success of your work, don’t say you’ll figure it out later. Make a plan and describe it. 6. 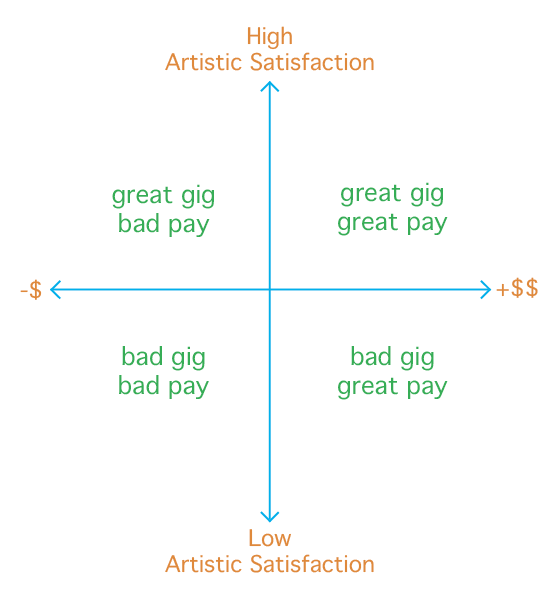 Craft and edit your artist statement. Your statement doesn’t just describe what you do; it contextualizes it. It should give the reader insight into your creative brain and make them want to experience your unique creations. Why are you making art? What inspires you? It’s okay to get a little cerebral, but keep your parents’ neighbors in mind. Be brief and clear. 7. Take it one step at a time. Grant applications can be long and a little overwhelming. Give yourself ample time to read the guidelines and the questions before launching into your narrative. It’s easy to separate the thoughtful proposals from the ones written at the last minute. Here are nine things you should know about dating dancers (inspired by this clever post about dating architects). 1. Dancers’ tastes are highly prone to change. They might love pancakes and blues music on Sunday and then think pancakes and blues music are the worst on Monday. This adaptability serves them well in the studio. If a movement they imagine doesn’t seem to work in real life, they’ll change it. Or, they’ll spend three hours trying to execute it before realizing they don’t like it anymore anyway. 2. They’re a little stubborn. It’s impossible to lift another dancer while doing a handstand, you say? Watch and learn, buddy. Real-world translation: the dimensions of that bookshelf are too large for the allotted area, you say? Watch and learn, buddy. Two dented walls and a broken bookshelf later, everything fits. 3. They like dance and they’re pretty sure you’ll like it too if you see as much of it as they do. They may shield you from the two-hour “Objectified: Why Ketchup Makes Me Look Like Meat” solo show, but they’ll invite you go to see anything and everything moderately audience-friendly. The great thing is that you’ll actually really enjoy it (most of it). 4. They have anywhere from three to fifteen different jobs, at least two of which are unpaid. This makes them seem scatterbrained at times, but they’re actually highly organized and dedicated. 5. Dancers’ financial planning skills enable them to get from Point A to Point B, but Point B is probably only two months away. Or it’s tomorrow. Dancers’ art is ephemeral and so is their money. That said, they don’t want you to buy them things. They can take care of themselves. 7. To combat the injuries, they’re constantly getting massages, acupuncture, acupressure and a variety of other bodywork methods that aren’t covered by the insurance they probably don’t have. If they’ve been in the field for a while, they have a pile of bodywork receipts somewhere that you should please not touch or move. It’s their accounting pile and it’s arranged just-so. 8. Dancers’ wardrobes tend to be either vintage-trendy or I’ve-been-wearing-this-disgusting-shirt-since-sixth-grade-and-it’s-still-comfortable-so-I-love-it. They have mastered the art of layering and are generally un-bashful when it comes to changing clothes in public. 9. They’re quirky by nature and they appreciate other quirky people. Don’t hide your collection of 1960s troll dolls or the fact that you can’t get up from a table without knocking on it first. Their freak flags are generally pretty close to the surface, so you should always feel free to fly yours.